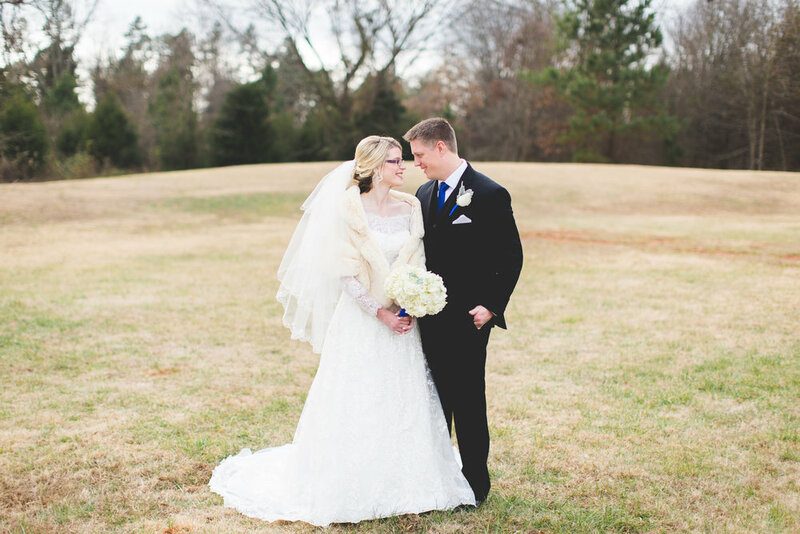 This Christmas winter wedding was one for the books! We have been so blessed to be a part of weddings of adorably happy couples who honor God with their relationship. It makes for a very special, sacred, and beautiful wedding day. We couldn't be happier for Kyle and Shannon as they begin their lives together! Enjoy this royal blue and white winter wedding! Oh, and if you'd like to take a peek at their engagement session from this summer or Shannon's stunning bridals, you can view them here (they'll open up in a new window so you don't lose this page! ).